William Hertling is the award-winning author of Avogadro Corp, A.I. 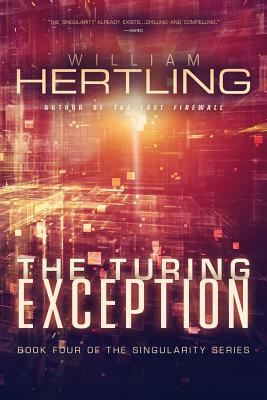 Apocalypse, The Last Firewall, and The Turing Exception. These near-term science-fiction novels explore the emergence of artificial intelligence, coexistence of humans and smart machines, and the impact of social reputation, technological unemployment, and other near-future issues. His novels have been called "frighteningly plausible," "tremendous," and "must read." Wired called Avogadro Corp "chilling and compelling." His first novel for children, The Case of the Wilted Broccoli, was published in 2014. He's been influenced by writers such as Cory Doctorow, William Gibson, Charles Stross, and Walter Jon Williams.